Most of the cases looked at in this series are decisions in the High Court. However issues of witness credibility and accuracy are a constant issue throughout virtually every layer of court and tribunal. In Prosser v British Airways Plc  EW Misc B13 District Judge Barcello had to consider the contrasting evidence of two witnesses in an unusual case. There is also an observation about the role of the expert in the assessment of facts and evidence. The claimant brought an action alleging that he had suffered injury as a result of sitting next to a large person in a flight from Bangkok to London. The other passenger’s size was such that the claimant had to sit awkwardly. The judge had to consider the evidence of two witnesses. Dealing first, with the issue of encroachment. It is important to provide an understanding of what I intend that word to mean within the context of the case. Aeroplanes are confined spaces. Each major flight operator offers a number of different classes of seating. On a long- haul flight, in general terms, the more a passenger is willing to pay (unless they are able to make use of a loyalty scheme), the larger their seating area and the more salubrious their surroundings. The seating area in question in this case, is the Defendant’s equivalent to what is usually known as economy class, which provides the smallest seating areas upon the plane available to paying customers. Travelling in such seats gives rise to a number of common incidents which could ordinarily be termed as encroachments. 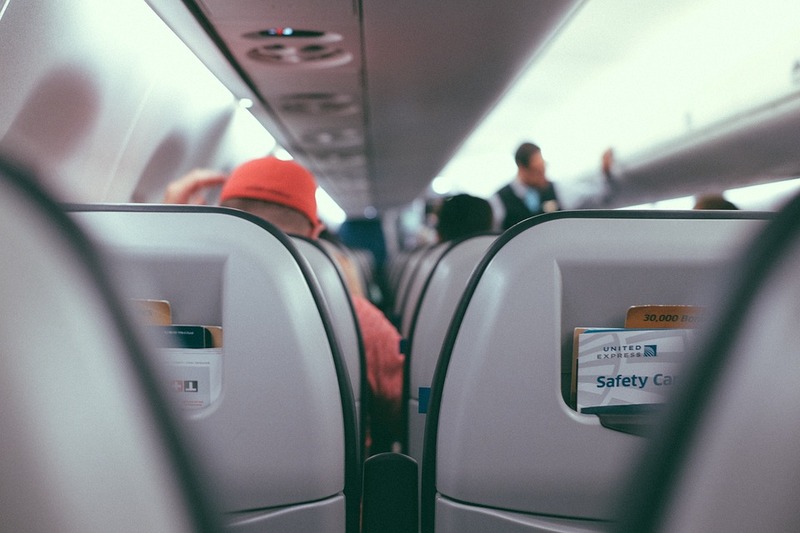 Neighbouring passengers can be expected to inadvertently make physical contact with their neighbour any number of times throughout a flight, be that a stray elbow whilst someone makes themselves comfortable or a dropped object as someone sleeps. A neighbouring passenger might commandeer the arm rest, the passenger in front may recline their seat or the cabin crew might be required to pass items over a passenger’s head. There are any number of events that could be termed as encroaching upon a fellow passenger. It is not however, incidents of this type to which I refer in using the word. I intend “encroachment” to mean the continued or consistent occupation of part of a neighbouring seat itself or of the space above it, such that it can be said that the Claimant did not have the benefit of being able to occupy the entire area which was allocated to him. I had the benefit of listening very carefully to the Claimant and to Mr McLindon, the customer service manager upon the flight. Each was insistent that they had given an accurate version of events and that the passage of time had not caused them to have fallen into error. In general terms, their oral evidence was broadly consistent with their statements and, in the case of Mr Prosser, with his earlier letters of complaint. However, having assessed the detail of the evidence given by Mr Prosser I am concerned as to the reliability of key aspects of his account. I have already expressed some concern as to his apparent unwillingness to mobilise upon the flight, despite his belief that not doing so would cause him an injury. It is also of concern that he gave differing accounts in this regard, first saying he did not leave the seat at all (after the engagement with staff), later saying he did leave his seat on one occasion. There were other matters within his evidence which showed inconsistency as to the detail of the account and which suggested a propensity to exaggerate aspects of his evidence to bolster his claim. As examples, I considered his evidence in respect of the encroachment by the neighbouring passenger to be inconsistent and exaggerated. Within his witness statement he referred to “the rest of his body spilling into my seat by several inches”, within his oral evidence, he stated at one stage that this was 3 inches, later said it was in excess of 3 inches and later stated that it was “a good few inches”. In my view, his statements were intended to increase the size of the claimed encroachment and to create an exaggerated picture, rather than a genuine account. In respect of his evidence as to sleeping during the flight and being seen by Mr McLindon, I have similar concerns. At one stage he said he did not sleep, he later said he slept for 5-10 minutes on occasions, he also said that he listened to music with his eyes closed. Despite these statements, he was insistent that Mr McLindon did not visit his area of the plane to observe him. He was adamant that he would have been aware of any member of the cabin crew walking down the aisle, despite there being two passengers between him and the aisle and despite him having his eyes closed, either through sleep or listening to music. I found this aspect of his evidence most unreliable. It appeared to be an attempt to discredit the evidence of Mr McLindon rather than to provide a truthful and clear account. By contrast, I found Mr McLindon’s evidence reliable. There were occasions within his evidence, where I considered him to be particularly forthcoming, at times where he must have known that his answers could cause a difficulty for his employers. First, though the Defendant’s case had been put on the basis that the Claimant was wrong to suggest that a recording of a complaint was made upon the flight on an iPad, Mr McLindon (who sat through the entire hearing and heard the questions put to Mr Prosser), with little encouragement and under no challenge, appeared keen to disavow the court of this misunderstanding. He explained that he had taken a complaint from Mr Prosser which was sent to customer services via use of an iPad, but that the nature of the complaint had not been that an injury had been caused, so an alternative procedure designed to log incidents and/or injuries had not been undertaken. Second, Mr McLindon informed me that he disagreed with the assessment of other members of the cabin crew who were said to have suggested to Mr Prosser that it would be unsafe for him to sit in a crew seat. His view was that, as a matter of good customer service, it could have been allowed. Each of these passages suggested that Mr McLindon did not seek to put any gloss upon his evidence and that he was attempting to inform the court of his genuine recollection. In addition to his willingness to accept such matters, Mr McLindon was very clear and consistent in his evidence. I accept that the incident was now almost 3 years ago. Mr McLindon says that his recollection is good because the complaint was so unusual. Though he has, on many occasions dealt with very large customers, who regularly require the use of extension seatbelts and/or for whom the armrests cannot be put into the usual horizontal position, he informed me that he has never dealt with a complaint such as this one, where a neighbouring passenger has claimed to be unable to sit properly in their seat. Such was the unusual nature of the complaint, that he told me that he had not known of anything similar in the 17 years in which he has worked upon aeroplanes for the Defendant and for a previous employer. I remind myself of the context within which he was working on board the plane. He was the customer services manager. He had a responsibility for ensuring the well-being of passengers upon the flight and had charge of dealing with any complaints. As part of his duties, he was required to inspect the cabin every hour and to make a report to the captain. Mr Prosser had raised a concern about the size of his neighbouring passenger both to the cabin crew and directly to Mr McLindon, which caused Mr McLindon to at first make an appraisal of the seating arrangements and to subsequently have careful regard to Mr Prosser upon his hourly inspections. Mr McLindon acknowledged in his written and oral evidence that the passenger in 37J was a large and broad man, though he did not accept the suggestion that he was obese. However, it having specifically been claimed that this caused an encroachment upon Mr Prosser’s seating area, when Mr McLindon looked at the situation at the time of the complaint, he considered that there was no encroachment into the seating area of Mr Prosser. He specifically looked to see if part of the passenger “spilled over” the arm rest and was clear that no part did. Mr McLindon revisited the area on an hourly basis and each time, he observed Mr Prosser sitting in what appeared to be a normal position, on many occasions appearing to be asleep. Challenged upon these statements however, he readily accepted that he could not know if Mr Prosser was comfortable and could not know if he was asleep or simply had his eyes closed. These were sensible concessions that did not undermine his evidence. If anything, they further enhanced his credibility as a witness. Having considered the evidence of the two witnesses as to the issue of encroachment, though they were both adamant that their account was accurate, I find the evidence of Mr McLindon to be more reliable. Looking beyond their evidence to other factors that might assist me, there are two matters that, in my view seem to support the account of Mr McLindon that there was no encroachment. First, it is accepted by both witnesses that the passenger in seat 37J did not require an extension to his seatbelt, which he was able to fasten in the normal way. Second, it was accepted by both, that the passenger in 37J sat between the armrests with each side in the correct horizontal position. I have not been provided with the measurements and dimensions of the seating areas or the seatbelts, neither have I been provided with anything more scientific than the observation and perception of the witnesses as to the size and shape of the passenger in 37J. I must determine the case upon the evidence before me. The fact that a person can operate a standard seat belt in the normal way and can fit, albeit at a squeeze, between the arm rests, in my view lends further credence to the evidence of Mr McLindon, that there was no encroachment. Having assessed the evidence before me, I am not satisfied that there was a continued or consistent encroachment upon Mr Prosser’s seating area by his neighbouring passenger. I accept that the passenger in 37J was a large man, both in the sense that he was very tall, broad and carried significant bodyweight. It is likely that there were occasions when, as a result of his size or his movements within his chair that he did cause an inconvenience to Mr Prosser, but I do not accept the suggestion that his size was such that Mr Prosser was compelled to sit in an awkward way for the duration of the flight by virtue of him encroaching upon his seating area. Having heard his evidence, I have formed the impression that Mr Prosser had expectations of his flight experience that were unrealistic, given the class of cabin that he chose. Within his evidence, when asked about some common events during flights, he suggested that he did not use the armrest because he is “a considerate” passenger and that others usually do not because “most people are considerate”. I considered this to be a peculiar, indeed, unrealistic answer. It is common for people to use the armrests on aeroplanes. Doing so does not, in my view denote a lack of consideration on their part. I asked Mr Prosser if at any stage he spoke to the passenger in 37J, he replied that he did not as he did not want to engage in a confrontation. Again, I considered this a telling reply. There was, on the face of it, no reason to anticipate a confrontation and it would seem relatively unusual to go through a 12-hour flight without some sort of engagement with a neighbouring passenger. To my mind these matters illustrate Mr Prosser’s approach to flying, namely that he wishes to quietly occupy his own area and to keep himself to himself. He does not intend to inconvenience anybody and does not expect to suffer inconvenience himself. In stark contrast to the passenger in 37J, who on all accounts was very tall and was large in stature, Mr Prosser himself is of a slight build and more than a foot shorter in height. There was a significant disparity in their sizes and it is possible that Mr Prosser felt that he was towered over and may well have been of the impression that his space was being encroached upon. However, in my judgment, it was not. I have formed the conclusion that the likelihood is that Mr Prosser simply did not wish to come into bodily contact with his neighbouring passenger, a risk that was heightened owing to his neighbour being of a large stature. It may be that this caused him to sit in an awkward manner, however his sitting position was not forced upon him by there being any physical encroachment upon his seating area. Alternatively, there is a very real prospect that the injury was simply caused by Mr Prosser’s apparent reluctance to mobilise whilst upon the flight. He is a man with a pre-existing back injury. One that Mr Evans agreed, could have been exacerbated by sitting in a normal position for long periods of time. Another interesting aspect of this judgment is the judge’s rejection of the medical experts attempt to give a viewsas to the credibility of the claimant as a witness.